It has always been a challenge for young people to make the transition from school into the world of paid employment, but in today’s technocentric world, that challenge has become even bigger. Many young people simply do not have the people skills necessary to get and keep a job. 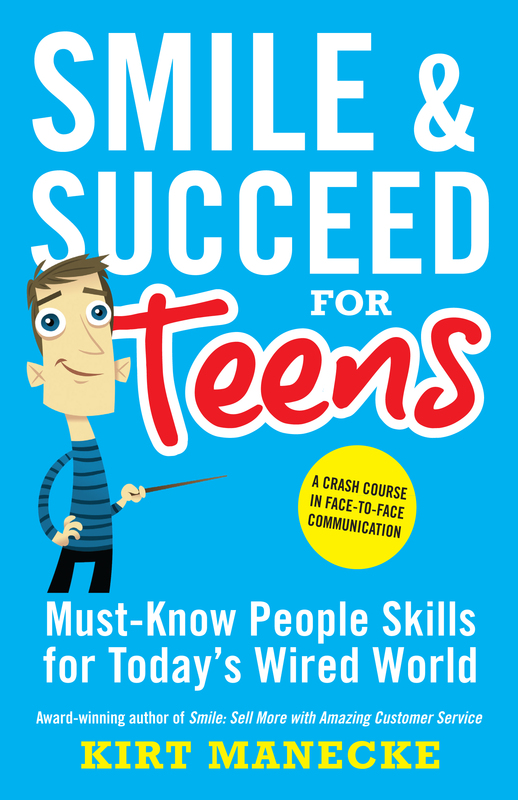 Kirt Manecke sets out to fix that in Smile & Succeed for Teens: Must-Know People Skills for Today’s Wired World. Manecke, a sales and marketing specialist and former store owner, covers all aspects of interpersonal communication for business. He starts with basic people skills such as smiling, having a firm handshake, using manners, listening well, and being enthusiastic. He then moves on to finding a job or creating one for yourself, getting references, preparing for an interview and dealing with stress. The advice doesn’t end once one has obtained a job. Manecke describes how to dress professionally, electronics etiquette while working, dealing with customers, handling money, sales tips, and the basics of fundraising. This is a must-read book for all teens embarking on their working career. Those with high-functioning autism who struggle with communication skills may find it especially helpful because it offers clear-cut rules for how to behave. 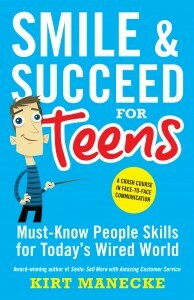 Indeed, the advice in Smile & Succeed for Teens is useful and relevant for anyone seeking to navigate the business world.